When Frank Worrell led the West Indies to Australia in 1960 he took with him the three spinners Alf Valentine, Sonny Ramadhin and the relatively unknown Lancelot Richard Gibbs. Alf was left arm, the justly celebrated Sonny bowled off-breaks and leg breaks in the Barnes finger-flicking tradition of disguise highlighted before. The first test in Brisbane was famously tied with the opening bowlers Wes Hall taking nine wickets in the match and Davidson eleven for Australia. Together Ramadhin and Valentine took three for 226. Australia went on to win the New Year’s test by seven wickets. In the home side’s first innings of 348, Ramadhin was given just five overs, taking one for 21. Our old friend C.L.R. James in Cricket – the Great Captains cites what happened next as evidence of Worrell’s great captaincy skills and provides a measure of the man. For the third test he dropped Ramadhin and brought in Lance Gibbs who had done little on the tour that far but had taken four for 29 in the second innings of the warm up match in Tasmania. The decision seemed inspired when Gibbs, brought on before Valentine, took three for 46 which along with Valentine’s four for 67 gave the West Indies a first innings lead of 137. The West Indies took their lead to 463 before Valentine with four for 86 and Gibbs with five for 66 won the match for the visitors by 222 runs. Gibbs on the last morning took four wickets for two runs in a spell of 27 balls. Not for the first time the scorer would have benefited from a rubber stamp with c. Sobers b Gibbs imprinted on it. It had not been plain sailing because in their mammoth task of chasing 464 to win Harvey and O’Neil for the third wicket had taken the score from 83 to 200 and looked well set and threatening. But Worrell had noticed that Harvey was having trouble with a pulled leg muscle. Knowing that this would restrict his movements, especially against spin, the West Indian captain brought Sobers in close at cover and told the inexperienced Gibbs to give the ball plenty of flight to Harvey. This YouTube film of Gibbs bowling to England in 1973 shows that he had a now very modern javelin-style delivery action. The front (left) foot lands outside the line made by his back (right) foot presenting his chest to the batsman. His bowling arm whips over with great speed and he rises on this the ball of his left foot pivoting over this with tremendous force as our Compare the Drives image demonstrated yesterday. This gives helps him to find considerable dip and therefore bounce. Facing Gibbs, a batsman would see a ball inviting him forward to drive, but the steeply descending ball is never quite as in-reach as the batsman thinks. Straining forward Harvey would realise this and, in trying to compensate, lift the ball towards the waiting Sobers just as Worrell had foreseen. The scorebook reveals R.N. Harvey caught Sobers bowled Gibbs for 85, N.C. O’Neil caught Sobers bowled Gibbs 70. After their dismissal only one batsman reached double figures. In the first innings of the fourth Test Gibbs did the hat-trick – the first hat-trick against the Australians in the twentieth century – and took five for 97. In the last Test he took four for 74 and two for 68 in 41 overs, 19 of them maidens. He ended the tour topping the averages with 19 wickets for an average of 22 runs. Indeed, this was inspirational leadership by Worrell and fully justified what must have seemed an inexplicable and hugely controversial selection decision. 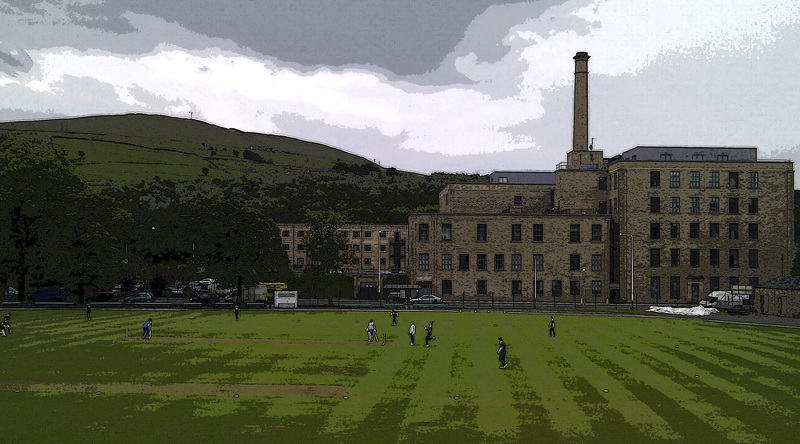 Turf Moor is better known as the home of Burnley FC, but in the lee of the giant Cricket Field Stand (clue here) is the home of the Lancashire League side Burnley Cricket Club. 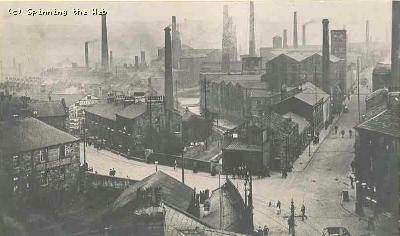 At the turn of the old century the population of Burnley was about 100,000. Most lived in simple terraced housing that was just being developed. Conditions were overcrowded and the air clogged with the smoke of scores of coal fired steam engines running the mill works. Playing and watching cricket was the great summer escape. The crowds were huge. The barracking constant and challenging – Sydney Cricket Ground would have held no terrors for those used to playing in front of the raucous crowds that took advantage of the pavilion bars at Burnley, Nelson, Accrington or Ramsbottom. Financial security mattered most to the lad, as time would tell. He had played three unnoteworthy matches for Warwickshire in the mid-90s, a couple of times for Lancashire in ’99 and once in that season of ’01 when he had taken 6 wickets. His first class figures at the time amounted to 13 wickets from 189 overs at an average of 35.3. Some days after that last game for Lancashire he took the field as usual for Burnley. It was only towards the end of the match that he sauntered over to his captain, Joe Allen, taking a letter from his pocket for Allen to read. It was from Archie MacLaren the captain of Lancashire and England inviting him to join a tour of Australia that winter to play for England. The pro needed the Burnley Committee’s permission to be released from his contract. “Have you replied to this?” – “No.” – “Then you’d better get off the field and reply at once accepting.” – “Perhaps I don’t want to go,” said Sydney Barnes. Perhaps only half-joking. 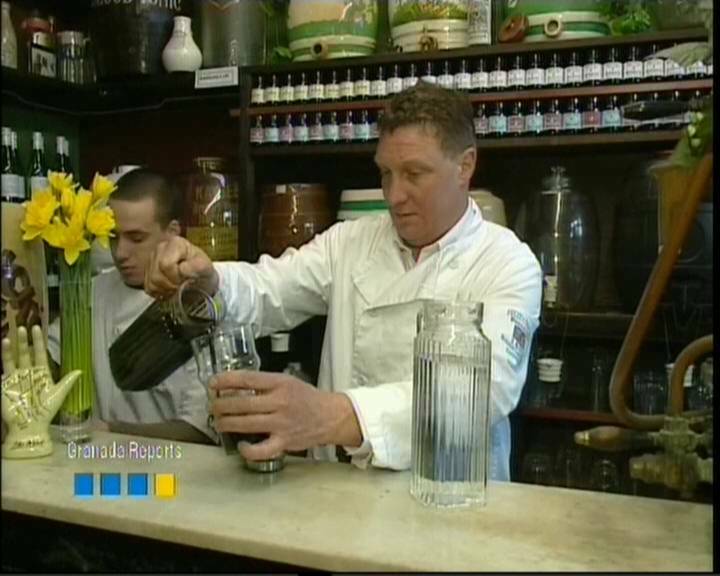 Apologies for quality of this image by Third Man wanted to show Barnes as in probably looked when playing for Burnley C.C. in his late twenties. S.F. 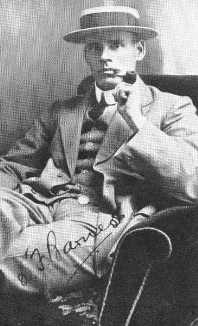 Barnes (1873 – 1967) was an extraordinary man and an extraordinary cricketer. A beautiful biography by Leslie Duckworth, a life long admirer, published in the year of the Master Bowler’s death, describes him as an enigma. Perhaps this is an understatement. Duckworth might have borrowed from Churchill’s description of Russia to describe him as a riddle, wrapped in a mystery, inside an enigma. Barnes played serious cricket for over fifty years, yet played only those three matches in a couple of seasons for Warwickshire and a few more in four years at Lancashire. 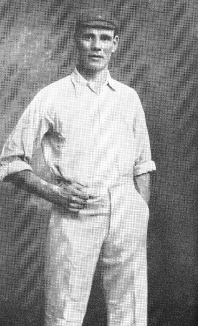 In all he played a total of only 133 first class matches, instead playing minor county cricket for Staffordshire between 1904 and 1935 and league cricket for a catalogue of sides between that first time for Rishton in 1895 and 1940 when he played his final match in the Stone N. Staffs League for Stone. He is the only cricketer to be selected for England when not playing first class cricket. And when chosen by Wisden as a Cricketer of the Year in 1910 he was playing minor counties cricket for Staffordshire and the professional at Porthill Park Cricket Club. His Test appearances in 27 matches were formidable. He bowled 1,312.2 overs, 358 maidens and took 187 wickets for an average of 16.43. That is nearly 7 wickets per match. That selection of Barnes to tour Australia in 1901/02 caused a sensation, but MacLaren had been batting against Barnes in the Old Trafford nets and had been peppered on the thigh and gloves from balls rearing from a length. One national newspaper asked in its headline, “Who’s Barnes?” “They will soon know who Barnes is,” retorted the Burnley Express. And they soon did know who Barnes was. At Sydney in December he took 5 for 65 in 35.1 overs in Australia’s first innings. A fortnight later on New Years day in Melbourne he took 6 for 42 and in their second innings 7 for 121. So why did Barnes turn his back on Lancashire and county cricket in 1903? County players were then poorly paid – £5 for a home match and £6 for an away match with expenses coming out of the players’ own pockets. Nor would or could the Lancashire Committee find him a winter job. Between his two Australian tours he refused the chance to go to South Africa in order to keep his good position with good prospects at an ironmasters in Staffordshire. League cricket simply offered him greater security and, combined with a steady position with good prospects somewhere, the prospect of a more dignified future. In later years, Barnes would point ruefully to those who ‘after fleeting years as famous cricketers, feted and fussed, dropped out, returned to the mine or factory, or, at best, took a fourth-rate beerhouse, trading as best they could upon their faded glories’. Third Man can see Barnes and the other Lancashire professionals in their cramped dressing room after the last session of play, removing their boots, lighting a cigarettes or pipe, sipping pints that Maclaren or one of the other amateurs has sent through to them. Their feet are sore, their knees ache and their hands are bruised and mangled from the viperish wickets they bat on. All have a mind on the vagaries of selection. Some are chatting of their dream to one day run a pub or open a tobacconist. Barnes, the enigma, from a position just outside the established team is using his long strong fingers on one hand to worry the laces on his newly studded boots while the other mechanically rubs the back of his knee damaged in Australia. With his steely and direct mind he is calculating the chances – strengths, weaknesses, opportunities, threats – of a career for Lancashire. Just as he uses that mind to work out the strengths, weaknesses, opportunities, threats of each batsmen. He is far too practical to dream of a pub, but he has a new aim; a totally new delivery that would be indistinguishable to the batsman. Barnes would understand the dilemmas of modern professional cricketers and they would find much in his story to help them in their big decisions. Third Man has strayed from his intention to show the links between Barnes and Mendis, but he hopes he has set up the situation for tomorrow. For those who have not seen Ajanthas Mendis bowl this footage from YouTube is a good place to start. In the first innings he is bowling to a well set VVS Laxman and causing that delightful batsman quite a few problems. He returns in the second Indian innings to continue the torture of poor VVS. By bowling the ball from the front of the hand with the palm facing the batsman, Mendis is able to impart clockwise (off spin) and counter clockwise (leg spin) rotations onto the ball with a very similar action. Gripping the ball like a delicate egg at the ends of his fingers, rather than forced down between the knuckles of his first two fingers (for orthodox off spin) or first and third fingers (for orthodox leg spin), he can both twist the ball clockwise on release with thumb and middle finger imparting what would be considered gentle off-spinning revolutions and, from the same initial grip, give the ball counter clockwise revolutions by flicking the middle upwards to impart leg spin (much in the manner of an Iverson or Gleeson leg break). This leg break is called the ‘carrom’. To get the carrom to work seems to require a quickish delivery of as much as 60 m.p.h. To disguise it from the front of the hand off-spinning delivery both must therefore be bowled at this quickish pace. Lack of significant rotations also means that the Magnus effect and degree of turn is limited and Mendis must rely on subtle variations of pace and an at-the-wicket line. The carrom however leaves the flicked middle finger pointing to the sky at the moment of release. To cover this ‘clue’ in a veil of doubt, Mendis includes in his repertoire an orthodox googly, out of the back of the hand, or top spinner out of the side of the hand, both of which leave the tell-tale little finger pointing to the sky in a way that makes it difficult for the batsman to distinguish the googly that breaks from left to right (or the top spinner that rushes straight on) from his flicked ‘leg break’. The three basic forms of his deliveries are shown here. You may wish to turn off the sound! In former times young bowlers and batsmen would very often have great first seasons when, as unknowns, they encountered their county opponents. Gradually the internal communications of the County Championship would operate as bowlers and batsmen shared experiences and ‘worked’ out these fledgling players whose longer term cricketing futures would depended on how they then coped with and adapted to these carefully considered strategies used against them in their second and third seasons. That process is now almost instantaneous as each delivery and each shot is filmed and then analysed on a laptop. Every mannerism, every combination, every variation is examined to unearth correlations and visual clues to help opponents refine their strategies. Cricket lovers will delight in Mendis with this skillful expression of the game and look forward to seeing his career progress. Bowlers will hope he beats the analysts. Batsmen will hope the analysts win. In their hearts, everone will hope the laptop loses. What this has to do with S.F. 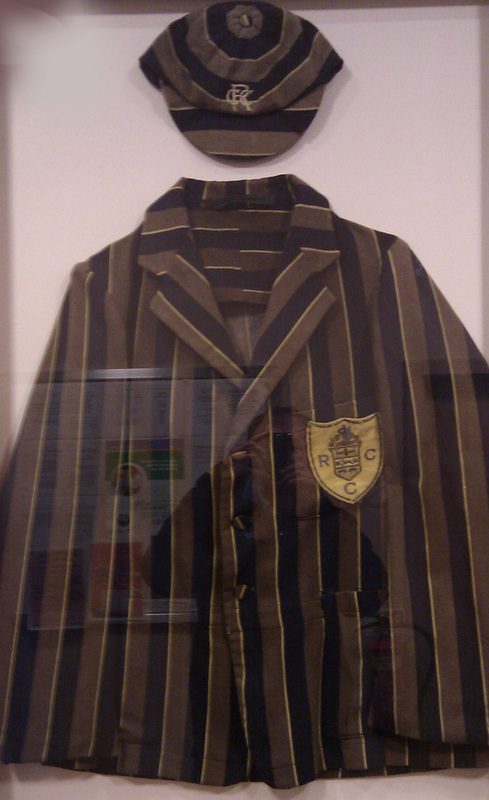 Barnes 1873 -1967, England’s 129th capped player, Third Man will venture to explain tomorrow.